Safe Home Sweet Light written by Laura Smith & performed by The Lucky Sisters. 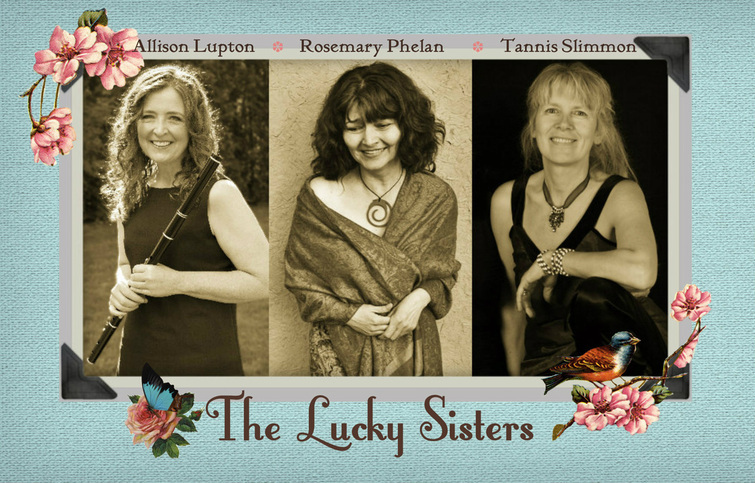 Lead vocal Rosemary Phelan, harmonies by Allison Lupton & Tannis Slimmon. My last chance to play dobro with Rosemary before her passing. Such a fittingly beautiful song. Halfway to Somewhere started out as a guitar part for a different song. In the end it didn't fit, but eventually I developed it into a solo instrumental piece. Strawberry Roan - written by Rosemary Phelan and performed as a duet with me on dobro & harmony vocal. Off her lullaby album Wake The Nightingale (click the album title to purchase - this album is being remixed and set for re-release on Feb 20th, 2016). Dobro Silent Night - A dobro & piano duet with Emilyn Stam along with Rosemary Phelan on vocal improv. Off the album Come Bright December. I Wished For You - The Stellas - written by Brad & MaryLynne Stella & John Scott Sherrill. recorded & mixed in Nashville, my dobro recorded by me at Crystal Clear Sound. Searching - off the Teal & Joyce release Has It All Been Said, produced at my studio, Crystal Clear Sound. I played the dobro. A Thousand Thank-Yous Medley - Oliver Schroer was brilliant and I am so grateful that I got to play dobro on one of his albums before he passed away.